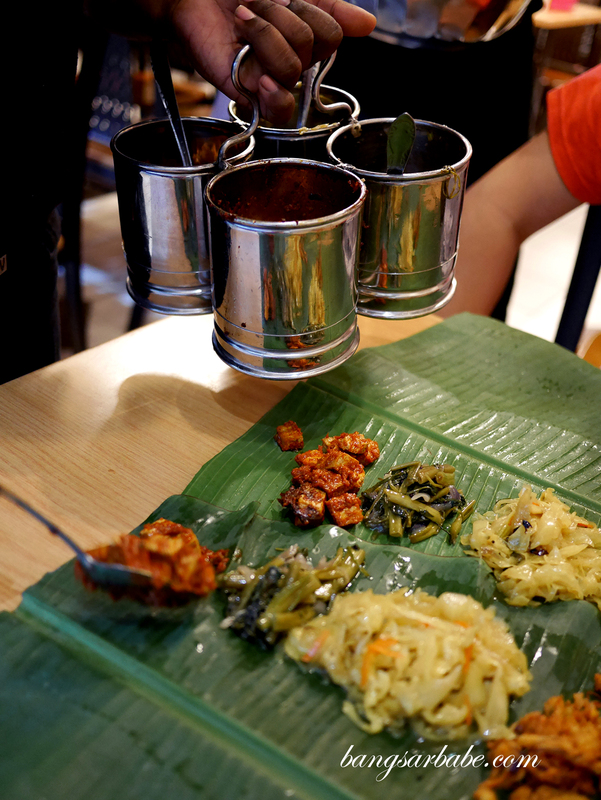 Banana leaf rice meals have become a ritual for me, ever since I’ve learnt to appreciate South Indian cuisine. 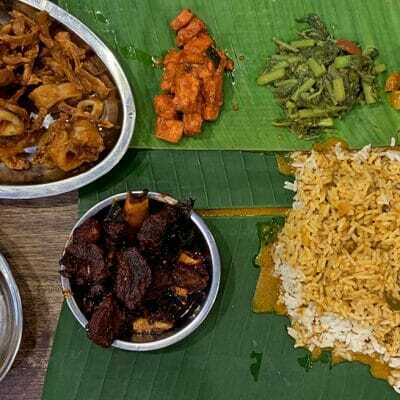 There’s nothing quite like a hearty meal of parboiled rice, assorted curries, vegetables and side dishes, washed down with warm rasam. 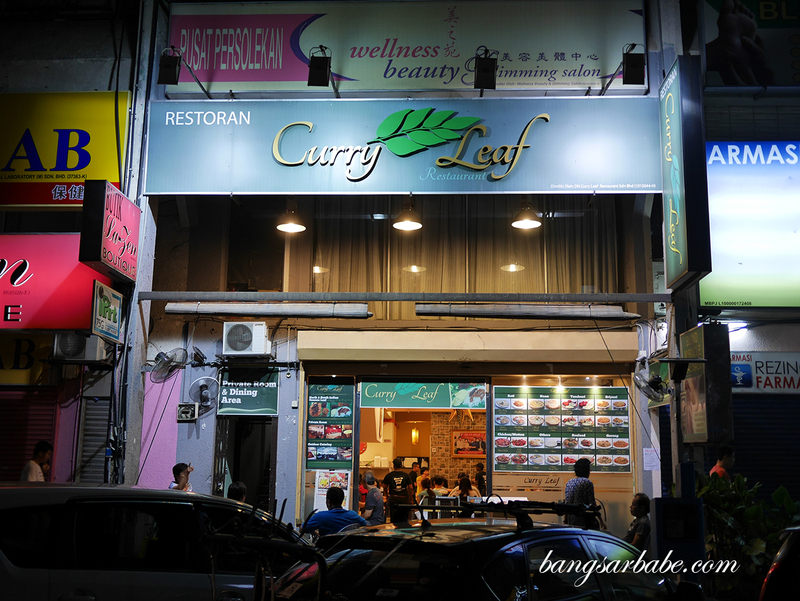 When rif suggested Curry Leaf in Damansara Uptown shortly after I returned from the U.S., I was game. 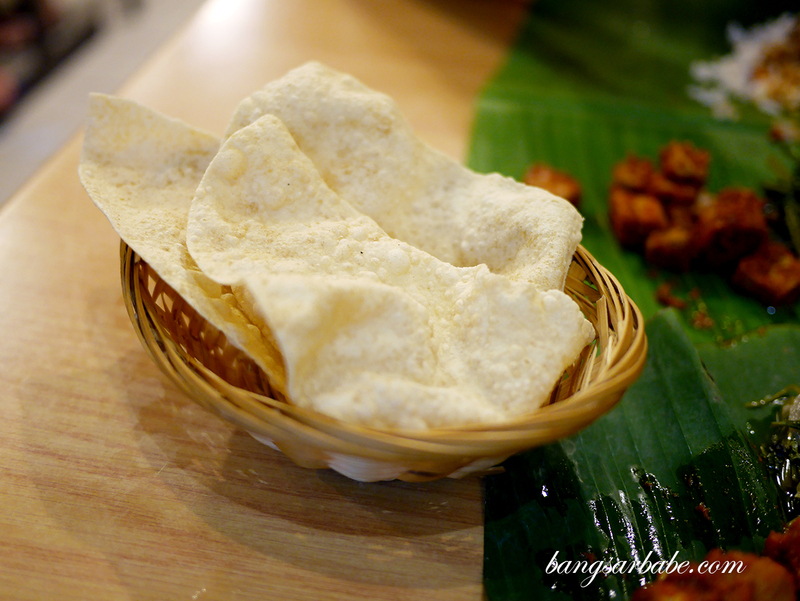 It’s been more two weeks since my last banana leaf rice meal and I was already craving it. 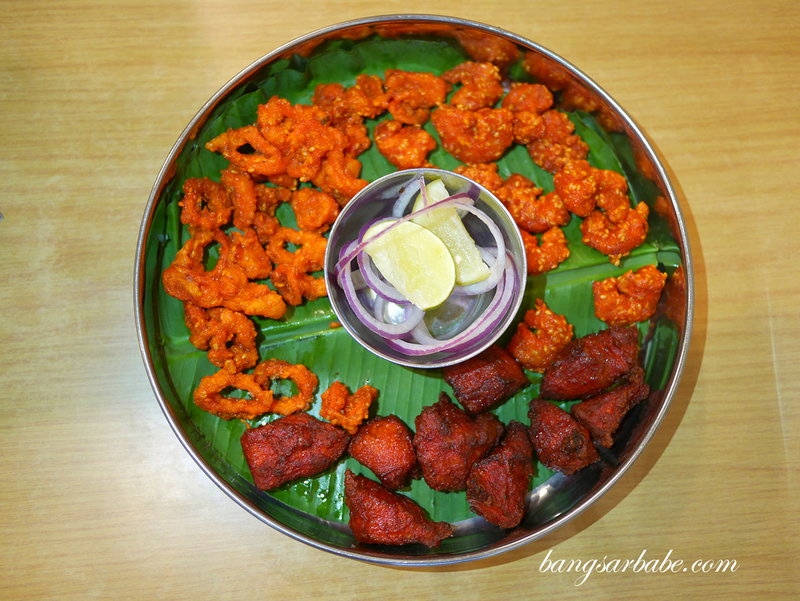 Curry Leaf restaurant was packed when we went; a good sign that the food is promising. From the newspaper clippings on the wall, I learnt that the restaurant originated from Seremban and they have been serving BLR for the past 15 years. 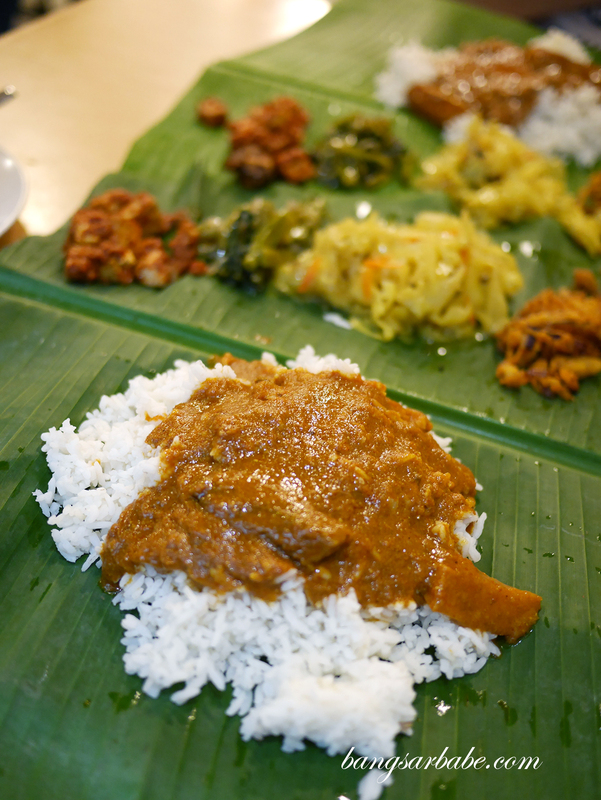 The banana leaf rice (RM6 per person) at Curry Leaf comes with four vegetables dishes at the side and you can opt to add meat dishes to your meal. 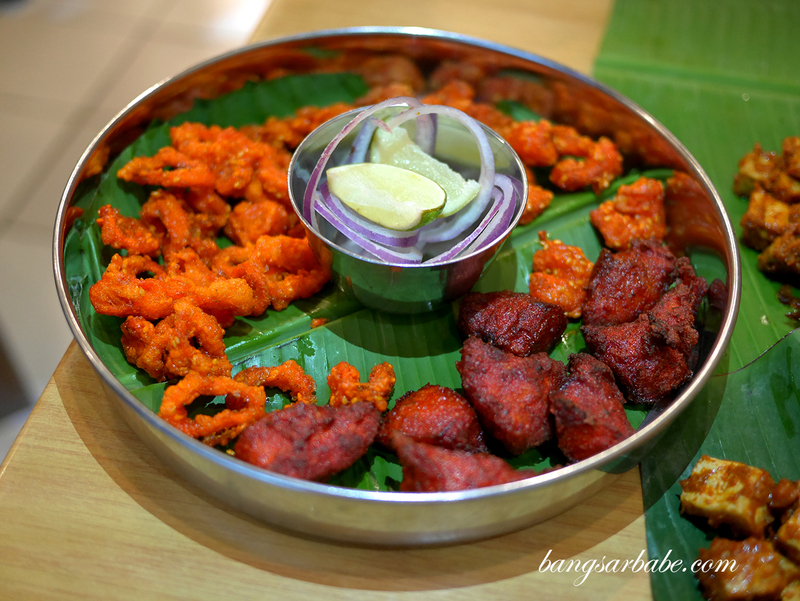 We had the mutton vindaloo (RM12) and a Curry Leaf Fried Platter (RM28), which comprised fried prawn, fried squid and Chicken 65. 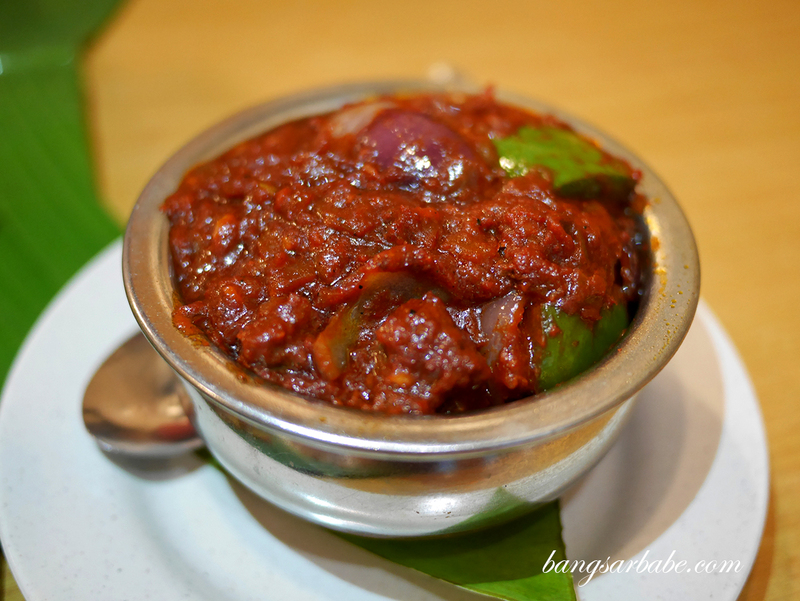 I thought the mutton vindaloo was rather tasty – it was sweet from the generous amount of onions with some peppery notes from the green peppers. The mutton was tender and devoid of gaminess, and the meat had absorbed the gravy well. 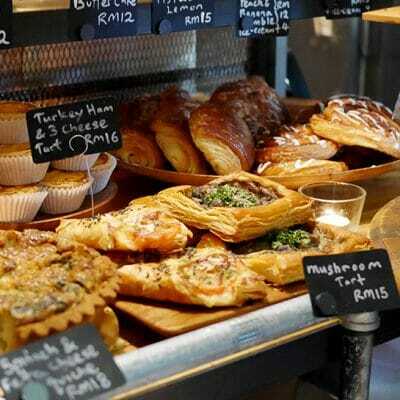 I would have liked it heavier on the spices though, so I guess it’s personal preference. Chicken 65 is boneless at Curry Leaf and while tasty, I didn’t fancy the use of chicken breast pieces as this was drier than I like my chicken to be. 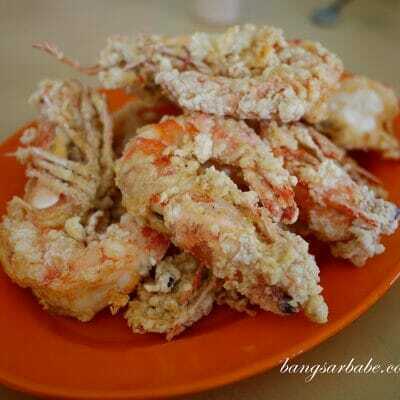 The fried squid and prawns were commendable, especially the former. Portion was a tad small considering the price tag the fried platter comes with, if you ask me. 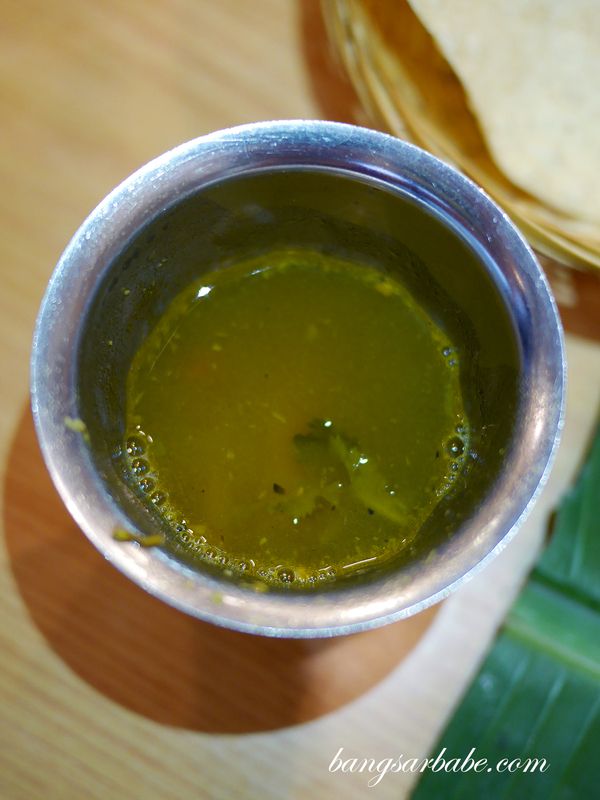 Don’t forget to ask for rasam to go with your banana leaf rice – it’s something I look forward to as I find it a refreshing palate cleanser and a good digestive option. 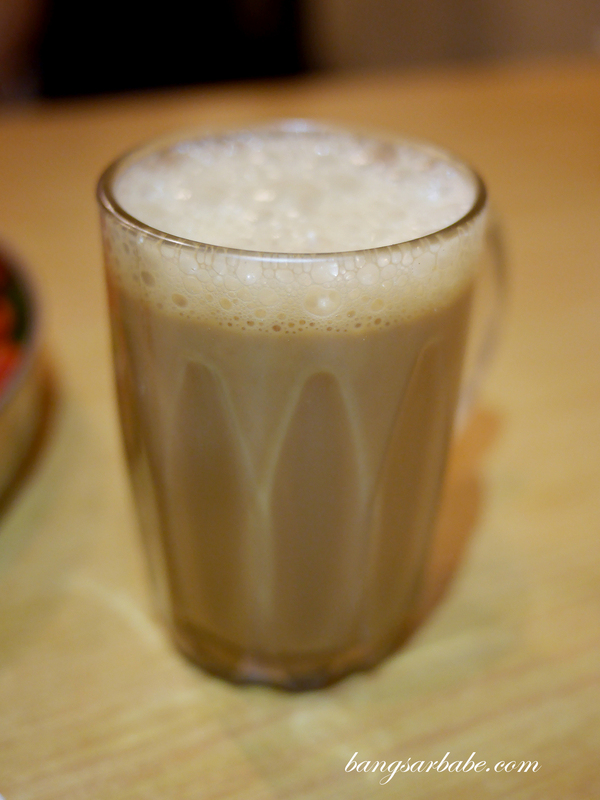 The masala tea (RM2.60) here is worth checking out; not overly sweet and scented with spices, as should be. 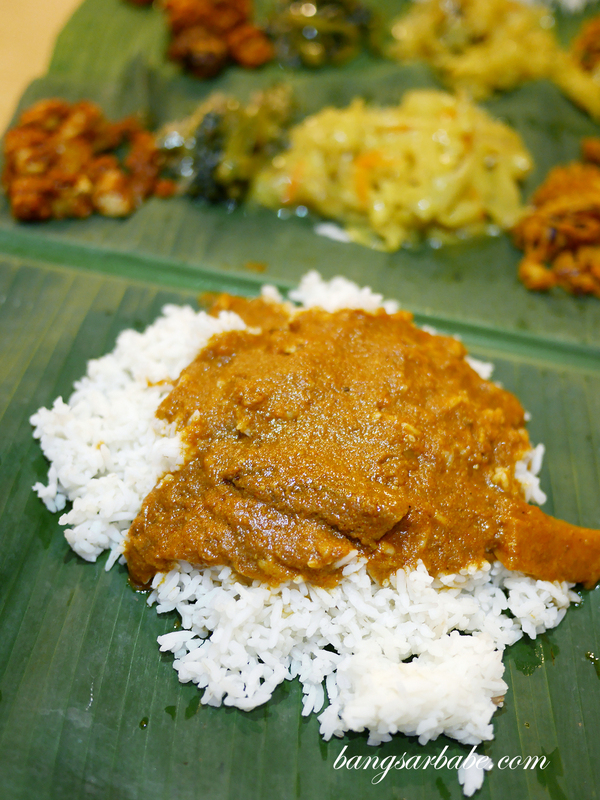 Verdict: Pretty good banana leaf rice. 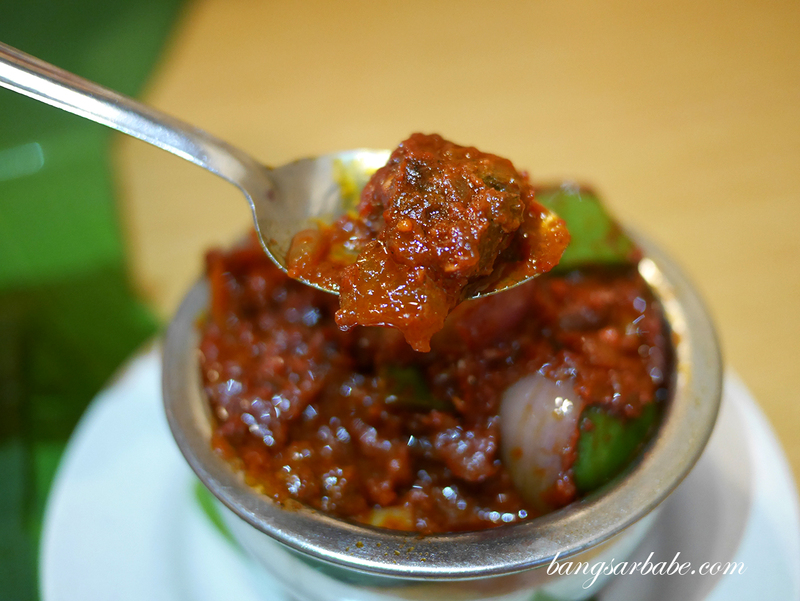 Try the mutton vindaloo while you’re at it.